In a machine shop, the creation of almost anything is possible. The roar of loud motors and the hum of CNC cutters removing material from blocks of metal turns the ordinary into the extraordinary. Machine shops are at the ground floor of innovation. From materials to technical labor hours, the cost of machining metal into useful products can be very expensive – making the R&D Tax Credit even more valuable. Machine shops can use federal and state R&D Tax Credits to offset the costs of their innovative activities. Historically, machine shops have been an innovative hotbed. 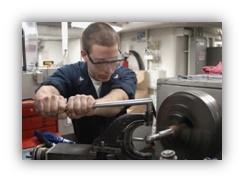 Machine shops are involved in developing products for numerous industries, which allows machinists to analyze the various means and methods to overcome project challenges, which is supplemented by an interactive dialog between highly skilled machine shop personnel and clients with specific requests. A designer may consider a component to be functional on paper but often, an engineer or machinist can review a drawing and determine that a design has deficiencies whether the design will simply not function or the design will require more time to machine than necessary. Machine shop personnel can then make subtle recommendations to clients that result in an improved, alternative design that often performs more effectively and efficiently. Often times, a firm will attempt to build a component in-house and after failing, will seek out a machine shop that specializes in the necessary part fabrication. A machine shop can spend many months and technical hours developing a component for a client. Along with payroll, the cost of expensive materials throughout this phase adds up. Fortunately, these technical labor hours and raw materials consumed in prototype development are eligible expenses for the R&D Tax Credit. Machine shops are an invaluable resource for designers and inventors with innovative concepts but lack the means, methods, and technical skills to generate a real-world prototype. For example, most designers are not adept at necessary techniques such as CAD, CAM, measuring, testing, research, milling, and lathing, all of which are second-nature to machine shop engineers and are also R&D eligible activities that generate tax credits. Most machine shops focus on maintaining a continuous stream of projects to sustain the shop throughout the year. Machine shops also strive to design innovative products as a means to supplement their job-based income and to increase workflow stability. Many machine shops have traditionally focused on the fabrication and manufacturing of components for clients however, modern computer aided design (CAD) software has enabled machine shops to develop unique and innovative products more rapidly, in-house. 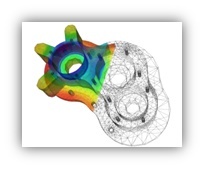 Designers can quickly model new concepts and test those concepts using finite elemental analysis (FEM) software. FEM software allows designers to virtually test how a product reacts to real-world forces, such as vibrations, heat, fluid flow, and other factors. CAD and FEM are now used in tandem to rapidly bring ideas from concept to finished design. CAD software is used to create the design; the FEM software tests the model; and when design deficiencies are found, they can be resolved by editing the original design. This process of occurs in a loop until the design is refined enough for prototype testing. By incorporating new technologies, machine shops now have multiple options in the prototyping stage. They can now use their metal cutting equipment to make the first prototype, or they can utilize 3D printing capabilities to reduce labor and material expenses. Multiple 3D printed prototypes can be used to refine alternative product designs, until prepared for metal fabrication. Most machine shops have a variety of internal R&D projects they focus on in addition to incoming jobs. These internal innovation projects serve multiple purposes, including utilizing employee time and labor and enhancing a shop’s capabilities by developing unique fabricating protocols for new items. Some machine shop owners devote significant resources to this internal development of products and processes as a long-term route in developing a fresh revenue stream. Whenever machine shops engage in client-specific, or supplementary internal projects to generate innovative products, they are engaged in R&D activities. Resources dedicated to those efforts are highly qualified for the R&D Tax Credit. Machine shops are the backbone of American manufacturing, as demonstrated by the record breaking 115,000 attendees at the 2016 International Manufacturing Technology Show in Chicago, including representatives from R&D Tax Savers. Many factors are integral to the success of a machine shop, including operator skill and expertise, but, without the proper machines, a machine shop cannot compete. Shops that are not capable of macro-machining and cutting levels to the nearest inch are not going to be capable of generating precise parts for innovative and growing fields, such as aerospace and engineering. High precision CNC machines are expensive, ranging from the hundreds of thousands of dollars to the millions of dollars. Historically, most machine shops simply do not have the capital funds necessary to acquire equipment in a single purchase. Instead, their capabilities generally increase over time in correlation with their equipment. It is not uncommon for a machine shop to invest in a couple main pieces of equipment and become proficient with that equipment. When shops invest in a new piece of equipment, it allows the shop to enter a new manufacturing vertical and offer services and products to a more discerning and advanced clientele. Industry demands in these new verticals are often more demanding and encourage the machine shop to change their manufacturing process and learn how to more proficiently utilize their new machinery. With new kinds of machines, shops can also manufacture a wider array of products for existing clients. Each new product generated by the new machine may take more time to manufacture than current products due to research and development in determining the optimal method to manufacture each new component. Often, parts may take many iterations to achieve the correct specifications because of the learning curve associated with using a new machine. Because of the economic outlay, choosing which machine to purchase becomes essential. Whenever a machine shop invests in new equipment and develops a new and improved production process, the following incurred costs should be captured towards the R&D Tax Credit. Any profitable machine shop is cognizant that product quality is essential, but quality must also be complemented by production efficiency, as such strategic equipment placement and rearrangement. Time and labor spent rearranging the shop floor for increased throughput is also an R&D Tax Credit eligible activity. Machine shops are regularly engaged in R&D Credit eligible activities as they continue to fabricate products for their clients, but they will also be involved in R&D Credit eligible activities as they begin to develop existing products on new machinery. In the highly competitive machining industry, machine shops are pushed to continuously integrate new technologies into their processes. Of these new technologies, 5-axis machines, the Internet of Things (IoT), and robotics play a significant role in increased efficiencies. 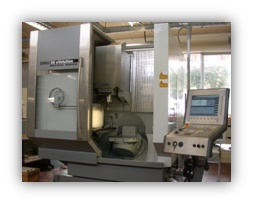 5-axis Machines have 3 linear axes like conventional CNC machines, as well as 2 additional axes. The additional axes allow for the machining of more complex parts, while only using a single setup – saving shops time and costs. For example, instead of using a mill and a lathe to fabricate a component, which requires multiple setups, a machinist could potentially do both milling and lathing operations using a single 5-axis machine. The use of multiple machines increases the cost of a project as well as the chances for error. 5-axis machines also have expanded capabilities, such as higher cutting speeds, reduced tool vibration, advanced hole drilling, and manual programming options for angular surfaces. The Internet of Things (IoT) is also making its way into machine shops. In a nutshell, IoT is the integration of software, electronics, and sensors that enable physical assets to be networked together, so data can be collected and exchanged. Most machine shops are only 30-40% efficient in the utilization of their machines, however shops are incorporating IoT allows shops to use small tools at specific speeds to avoid chatter and to cut deeper and more quickly. Machine shops are now using sensors, which produce readings during cutting operations to account for the various variables that affect optimal spindle speed. These readings help the operator determine if they should increase or reduce the RPM of the spindle. Machine monitoring systems are also increasing the overall efficiencies by monitoring idle machines. For example, using data from idle machines, a shop manager might discover that machines are idle whenever operators need to obtain measurement tools and, because of this discovery, measurement tools might be placed closer to operators to reduce idle time. Machine shops are also equipping machines with sensors to help determine when tools are reaching the end of their lifespan. The burgeoning field of robotics is also helping the machining industry become more efficient. Many machine shops tasks are repetitive therefore, largely a waste of skilled labor. Machine shops are increasing productivity by using robotic arms and bar feeders to load CNC machines. These robots tend to the CNC machines so machinists can divert their attention to more skilled tasks, such as setting up jobs or troubleshooting problems. Robots are also being used at job cycle conclusion to package finished products. Various technologies are helping U.S. machine shops to become more competitive in the global manufacturing market. The costs associated with integration of technologies such as 5-axis machines, IoT, and robotics are R&D Tax Credit eligible activities and can often yield sizable credits. The aerospace industry is highly reliant on machine shops to fabricate high performance components. 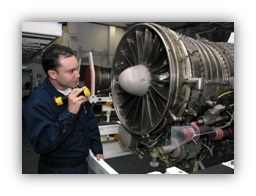 Machine shops that service the aerospace industry operate in one of the most highly regulated and precise industries in the world. The regulations that govern the aerospace industry create unique constraints and problems that manifest as complex designs, requiring levels of precision to the +- 0.001 of an inch. Each part and the associated production process is essentially a unique problem that needs to be solved. The machining of aircraft parts requires extremely precise parameters and tolerances as different aircraft parts are designed to operate in extremely high or low, temperatures, requiring fabrication to exact dimensions so they can expand and contract appropriately. Material properties pose a common challenge in the machining of high precision parts. Specialty aluminum alloys are used in the construction of various aircraft components such as jack screws to mitigate thermal expansion and contraction. Aircraft grade aluminum is refined at various foundries throughout the U.S., and produced in batches with each possessing slightly different characteristics. These unique characteristics can make a dramatic difference when machining components to the specific micro-dimension required for the part. On the molecular level, the various types of metal will relieve stress in different ways as it is being cut, which will in turn affect the accuracy of cuts. Machine shops have to account for the way the substrate will relieve stress before they program any tool paths into the CNC machine. Characteristics of metal-like stress relief vary even greater when metal is obtained from different refineries with varying compositions. Increasingly, machine shops are being required to develop more intricate components that require higher levels of precision. These demands are forcing many shops to invest in Coordinate Measuring Machines (CMMs) Depending on the machine, CMMs can use mechanical, optical, laser, white light, or other means to accurately determine the physical geometrical characteristics of an object. CMMs help operators determine the exact dimensions of an object, which allows machine shops to check the accuracy of their work and determine what changes are necessary to achieve the required precision. Machine shops can use the R&D Tax Credit to offset costs when developing new parts as well as when they are designing a new fabrication process for parts from new materials. These materials can be alloys, metals produced from different foundries, or the next generation of aerospace materials that may not even be metal, but still require the techniques of subtractive manufacturing to be transformed into useful parts. Activities that require the development of new production processes and evaluation of numerous alternative variables are R&D Tax Credit eligible. Every major news outlet has been reporting the growing investments in space exploration. Machine shops were essential to the United States' successful space program in the past, and will continue to be a major force driving the next generation of space exploration. For example, Elon Musk’s Space Exploration Technologies Corporation (Space X) will be heavily reliant on the expertise from machine shops to make everything from springs to components that do not yet even exist. With space exploration, there is no room for error, everything must be exact and precise. In the recent blockbuster "The Martian," the re-supply spacecraft spontaneously exploded, with the explanation being that protein bars liquefied, allowing them to move and create an unbalanced load, and ultimately leading to the spacecraft's demise. Although a fictional scenario, this is a prime example of the endless possibilities of what can go wrong in space. A more conceivable scenario might be a bolt not machined to the proper tolerance and due to extreme vibrations, slowly becomes unscrewed leading to a catastrophic failure. Regardless, a machine shop's precision is absolutely necessary. In the future, machine shops will be expected to fabricate new types of components for the aerospace industry, and will have to exert their skills and resources to determine how to machine these components into existence. With such high stakes, every aspect of these new components has to be perfect. There are bound to be numerous failures before parts meet the exact specifications required, however, the cost of these experiments and failures can be offset by the R&D Tax Credit. Any machine shop that is currently, or plans, to develop components for the aerospace industry is likely engaged in R&D Tax Credit eligible activities. Companies that have developed components for spacecraft and satellites in the past should seek the benefits of the R&D Tax Credit as it can be applied retroactively. The recent downturn in the oil and gas industry has caused a "mixed bag" of economic consequences for machine shops throughout the country. 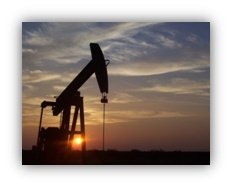 Machine shops play an integral role in the oil industry, and, many machine shops have been adversely affected by the decrease in oil prices. Since machine shops fabricate many of the components found on drilling rigs, the drop in oil processing levels has culled many offshore drilling projects and new drill manufacturing. However, the oil and gas crash has spurred many industry giants to re-evaluate their business model now that efficiency in oil extraction is paramount. To supply this new demand, machine shops are re-tooling their machines to manufacture new and improved parts for more efficient equipment, and will also have to develop new processes to produce these precise parts. Furthermore, oil companies are now entering new verticals as they realize that relying solely on petroleum and its derivative products is ill-advised and risky. For example, Statoil, a Norwegian company, is developing the world's first floating wind farm off the shores of Scotland. With oil companies entering the renewable energy sector, machine shops will be necessary to develop new and improved parts for renewable energy. Machine shops that operate in the oil industry are likely involved in R&D Tax Credit eligible activities and are unaware of the substantial benefits associated with the tax credit. In order to remain successful and profitable in this highly competitive industry, machine shops engaged in the development of new or improved products and processes should leverage R&D Tax Credit to recoup cost associated with innovation. Offsetting these development costs will also enable machine shops to re-invest elsewhere in their company. Companies should consult with experienced tax professionals on how to utilize the R&D Tax Credit benefits. Peter Saenz is a Tax Analyst with R&D Tax Savers.